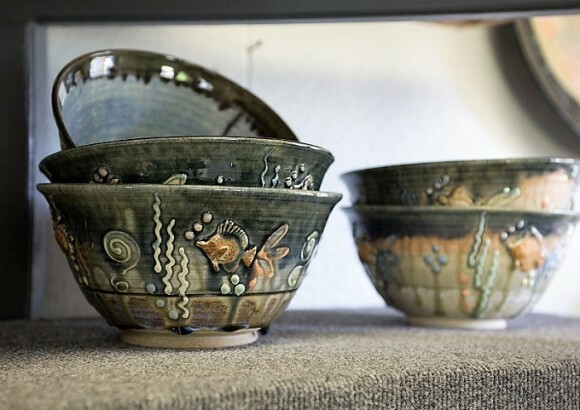 Steven Dark’s career with Pottery Central spans more than 30 years as an Alabama Gulf Coast potter and ceramist. He is well-known for his funky, unusual, sometimes somber and sometimes humorous pieces. He usually works on a series of 6 to 8 pieces at a time, throwing on the wheel the primary forms and decorative parts to make some impressive works of art. When the clay is at just the right stage of dryness, he begins the assembly process to create his one-of-a-kind masterpieces.